Today's Transitions Now: Todays Transitions Winter Issue is Out! Todays Transitions Winter Issue is Out! 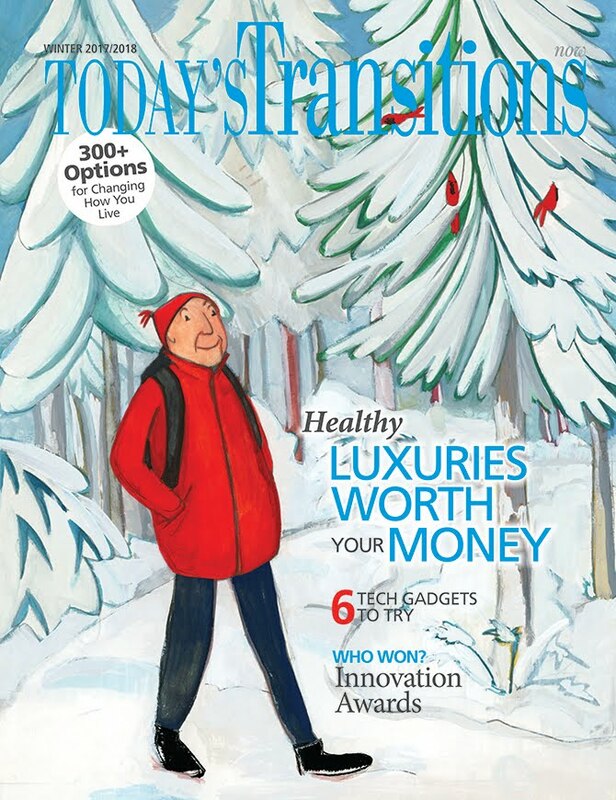 In our winter issue of Today's Transitions, we want you to add innovation to every part of your life. Here's how you can get started. Take your loved one to the Thrive Center for an interactive session that celebrates the aging process. Discover the fun of technology by trying one these gadgets. Find an easier and quicker way of preparing food for you or your loved one. Read about our Innovation Award winners and find out what they're doing to improve the quality of life for seniors.